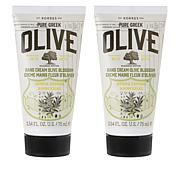 Korres Pure Greek Olive Oil & Bergamot Hand Cream - 2.54 fl. oz. exclusive! 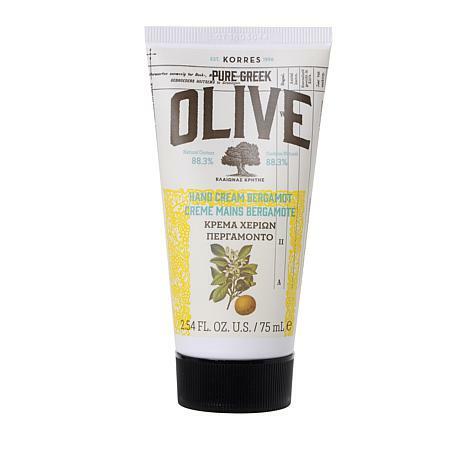 Korres Pure Greek Olive Oil & Bergamot Hand Cream - 2.54 fl. oz. Luxuriate in a citrusy, fruity-sweet fragrance with elegant light notes of cardamom and lemon in this moisturizing, non-greasy concentrated cream for hands and nails. BENZOATE, TETRASODIUM GLUTAMATE DIACETATE, TOCOPHEROL, TOCOPHERYL ACETATE. 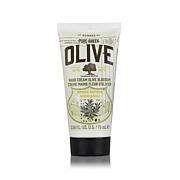 Best hand cream i've used. Have tried many others that were not what they claimed. This cream is rich and absorbs quickly, so long as you don't get too much .Smells lovely and the idea these Korres products are made with quality ingredients is a bonus.I Never use lotion. It's got far too much water, but creams and body butters are so far away from lotions.